A baby’s smile always seems to brighten the room. It certainly did last week at a Missouri hospital! Alyssa Bailey was born three days after Christmas with a little something extra. Dec. 28, 2014, Jaklina Bailey gave birth to a baby girl, Alyssa Bella. 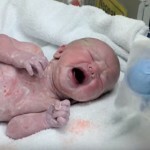 Doctors and nurses at Mercy Hospital in Springfield, Missouri, were “shocked” when they caught a glimpse of the newborn’s mouth, reports FOX6 Now, and what they saw quickly became the center of discussion in the delivery room. What was the reason for the staff’s astonishment? 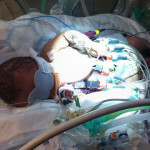 Alyssa was born with two bottom teeth, something that occurs just once in 2,000 to 3,000 births, according to MedlinePlus. The delivery doctor said it was just the second time she’d seen such a thing during her 25-year career, Bailey told FOX6 Now. “We had two other doctors that came in just to look, and nurses, they were kind of like, ‘what’s going on? Can I just see? 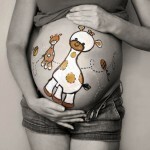 Let me see,'” recounted the new mother. Alyssa’s teeth are referred to as natal teeth, which can be linked to medical conditions like cleft palates, but Alyssa was perfectly healthy. 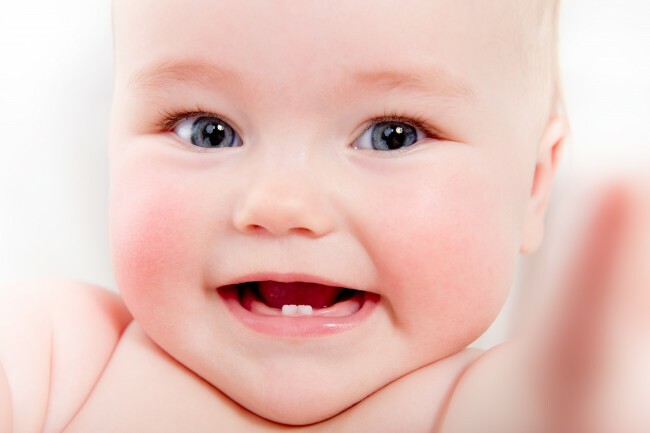 Natal teeth aren’t very well-formed and are typically removed before the newborn leaves the hospital to avoid any chance of the baby swallowing them. Alyssa went home with hers, though Bailey admitted she was keeping a close watch on her. 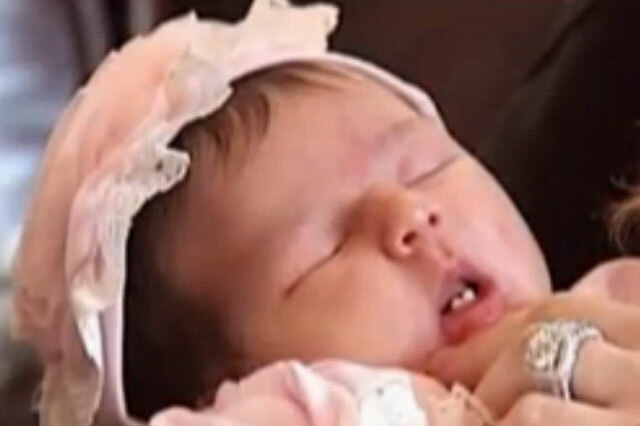 A baby born with teeth sounds like something from a horror movie, but it does happen! These kinds of teeth are called natal teeth, and they occur in about one in every 2,000 to 3,000 births, according to the National Institutes of Health. The teeth normally develop on the lower gum, are attached with soft tissue and don’t have strong roots. They’re different from neonatal teeth, which can grow in 30 days after birth. This Woman Has a Baby. But Fate Strikes On The Same Day. And Instantly Makes These 3 Happy.